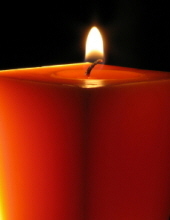 Arlene M. Hancock, 79 of Oglesby died November 3, 2018 in her home surrounded by her family. A funeral Mass will be 11 a.m. Tuesday in Holy Family Church, Oglesby. The Rev. Gregory Jarzombek, O.S.B. will officiate. Burial will be in St. Vincent’s Cemetery, LaSalle. Visitation will be 9-11 a.m. Tuesday in the church. Arlene was born November 5, 1938 in LaSalle to Guy and Virginia (Castiglia) Galassi. She married John D. Hancock November 15, 1957 in Queen of the Holy Rosary Church, LaSalle. He died August 1, 2002. Arlene was a homemaker and a member of Holy Family Church. She graduated from LaSalle-Peru Township High School in 1956 and worked for several years at Illinois Bell Telephone Co.
She is survived by 4 sons; John (Sue) Hancock, Jr., Thomas (Traci) Hancock, Steve (Wendy) Hancock all of Oglesby and Matt Hancock of LaSalle, 7 grandchildren; Angela (John) Vezzetti, Andy Hancock, Alyssa (Charles) Tabor, Taylor Hancock, Noah Hancock, Nicholas Hancock and Tony Hancock, 3 great-grandsons; Geno Vezzetti, Luca Vezzetti and Aiden Tabor, 3 great-granddaughters; Alaina Tabor, Isla Vezzetti and Ariella Nowatka, a brother Edward (Carol) Galassi of Albuquerque, N.M. and numerous nieces and nephews. She was preceded in death by her husband, 3 sisters, 1 brother and a grandson. Pallbearers will be her 4 sons John Hancock, Jr., Thomas Hancock, Steve Hancock and Matt Hancock and 4 grandsons Andy Hancock, Noah Hancock, Nicholas Hancock and Tony Hancock. Online condolences may be expressed at www.shieldsfuneralchapel.com. To send flowers or a remembrance gift to the family of Arlene M. Hancock, please visit our Tribute Store. "Email Address" would like to share the life celebration of Arlene M. Hancock. Click on the "link" to go to share a favorite memory or leave a condolence message for the family.